There is no better compliment of your work than repeat customers. And also there is nothing more satisfying than getting rid of pine. So as you can imagine this project was extremely rewarding for me. 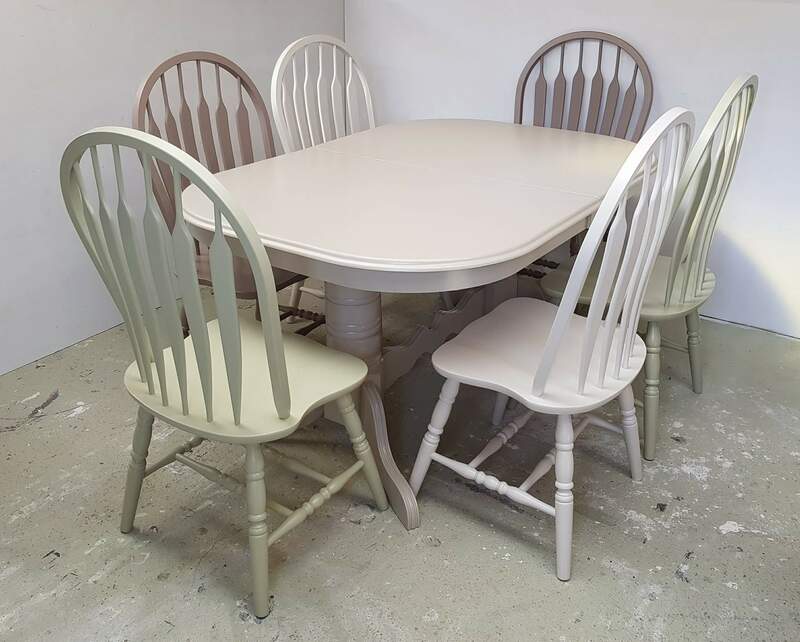 This piece was to match a table and chairs I revamped a little while ago and while my client wanted to use all 4 colours i felt using some of the colours in a more subtle way worked best. I love looking at before and after pictures of Pine. I follow you on Facebook and regularly check in on your website. I love your work. 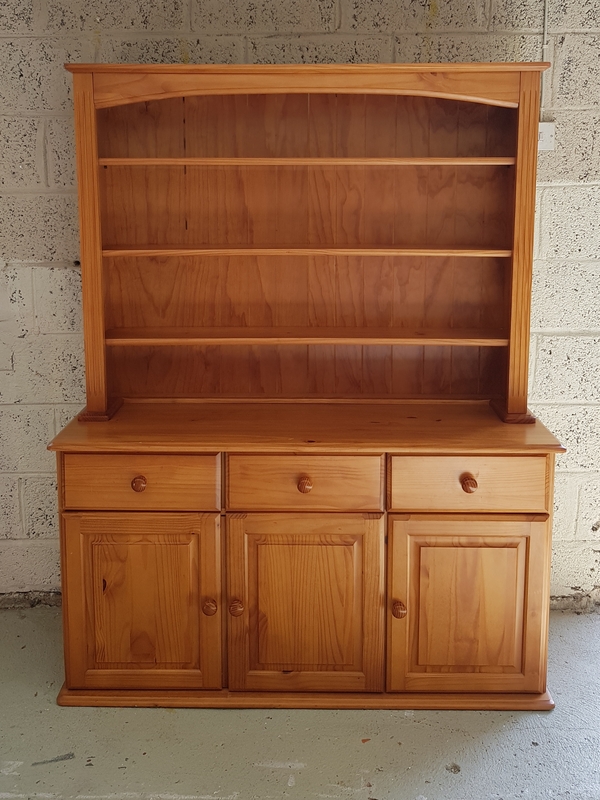 I am looking for a dresser and table and chairs just like you have posted here at the moment from repeat business. I have seen some on Done Deal but I would prefer to go into a shop and buy! Am looking up antique shops and yards at the moment. Could you give me an idea as to the cost of having these items painted please. My sitting room is painted salter stone and I’m looking for a color that will complement it for my pine furniture, that I want to revamp can, you help please?